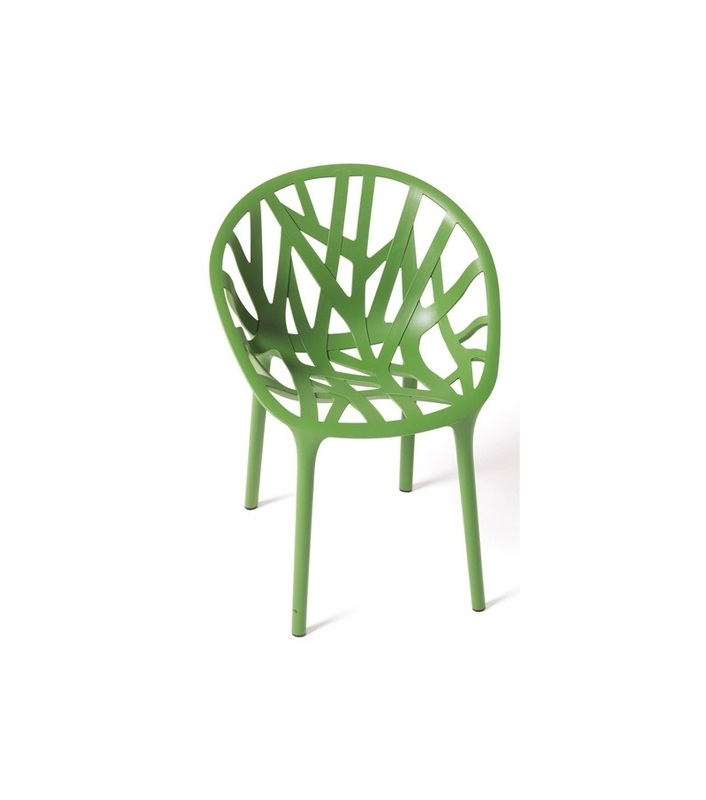 Vitra Miniature Vegetal, Bouroullec: The Vegetal is an organically-shaped chair that is meant to look as if it had taken its shape naturally. With that goal in mind and inspired by small trees which American gardeners had fashioned into the shape of seating furniture, the French designers Ronan and Erwan Bouroullec set about designing the Vegetal. 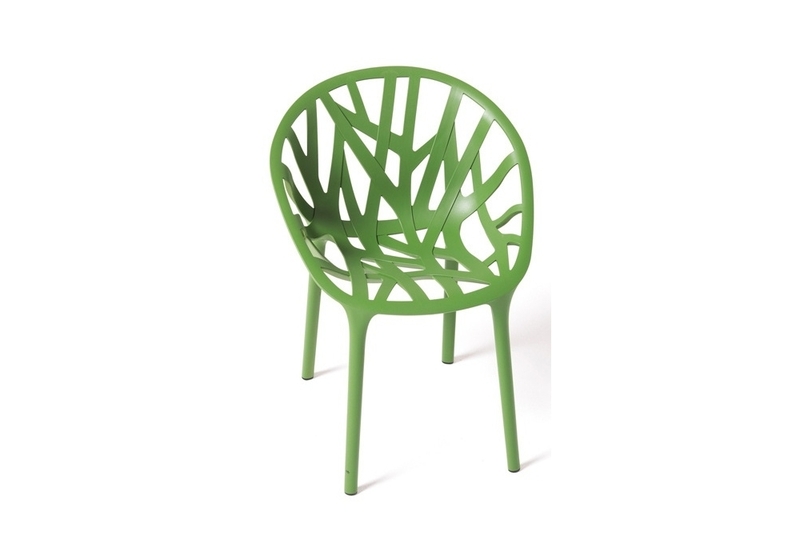 Vitra Miniature Vegetal, Bouroullec: The Vegetal is an organically-shaped chair that is meant to look as if it had taken its shape naturally. With that goal in mind and inspired by small trees which American gardeners had fashioned into the shape of seating furniture, the French designers Ronan and Erwan Bouroullec set about designing the Vegetal. 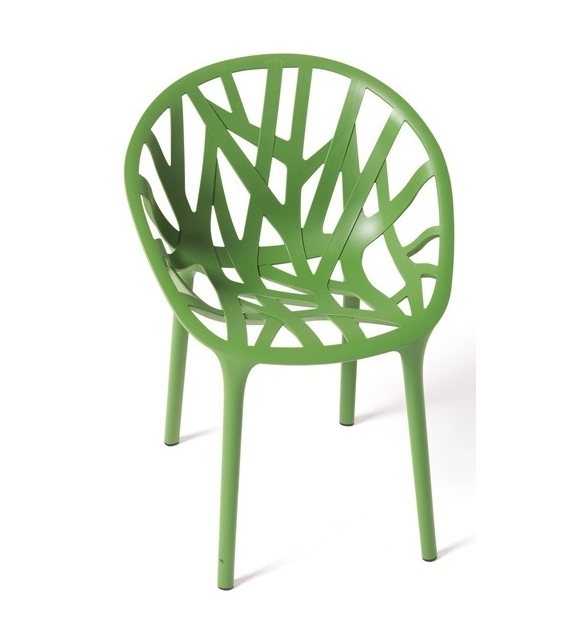 Designed for outdoor use, the chair had to be both water-resistant and – for practical purposes – easily stackable. Neither the Bouroullec brothers nor Vitra could have imagined that it would take four years of intense work on both the design and the development of the chair before the ambitious project would finally be realised. The inspiration of natural vegetation is easy to see in the intricate, asymmetrical structure of the branch-like ribs that make up the Vegetal’s seat shell as wellas the colour scheme. Made from polyamide and manufactured using injection moulding, the chair is an exploration of the limits of its material and the latest production techniques.